only balanced coexistence will allow each to endure. They’re the subject of countless newscasts. The horror stories from our headlines. Wild animals stalking our streets like never before. But their stories haven’t fully been told – until now. In Urban Jungle, big cat tracker Boone Smith takes viewers on a harrowing journey to the places we once counted as our own, but have gone to the wild. He ventures deep into the heart of some of the most crowded cities on the planet, to uncover a hidden world where predators and prey collide – outside our windows, above our skyscrapers, under our feet. All over the planet, a new wilderness is rising. And it’s just outside your door. 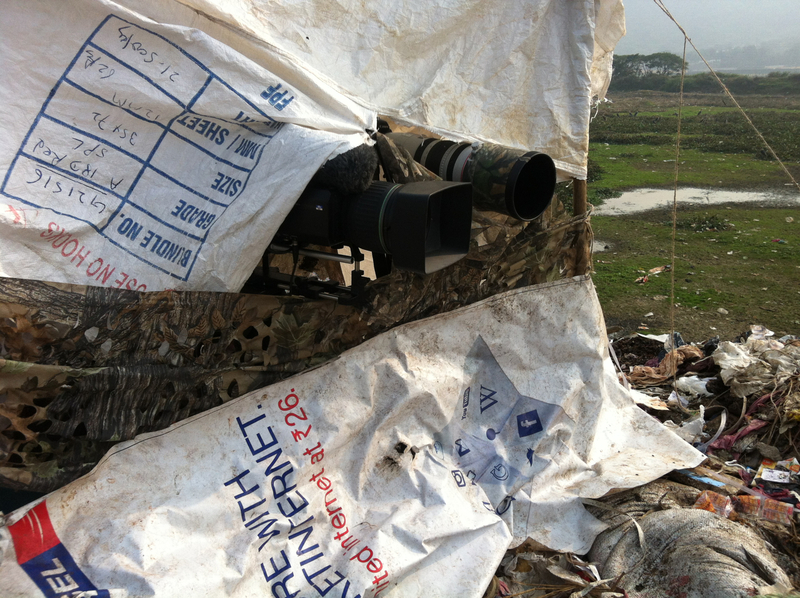 I started the first, okay, the second day of 2014 sitting in a garbage dump in Guwahati…for a week. Great way to start the year, eh? 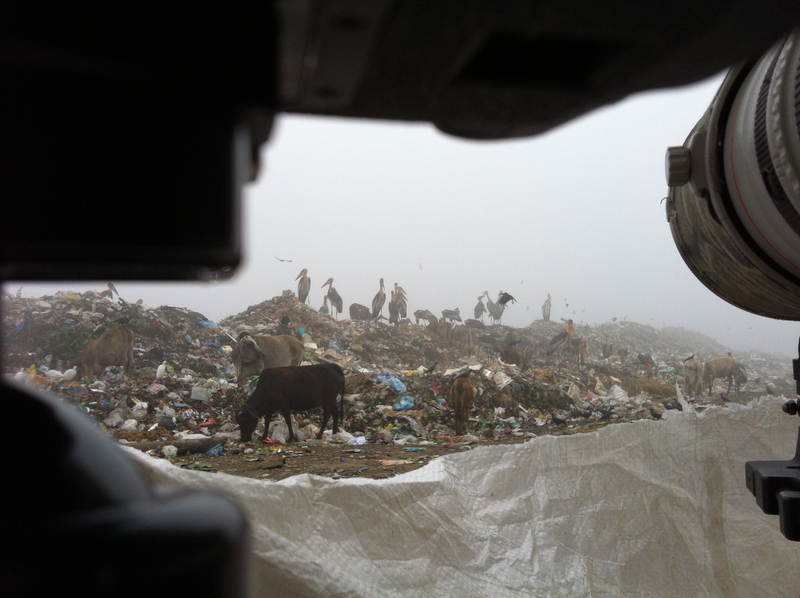 Well, such is the not-so-glamourous life of a wildlife filmmaker. Don’t get me wrong – I’m not complaining. 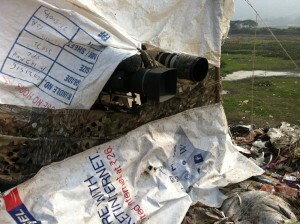 The mission here was to film the critically endangered Greater Adjutant Stork. 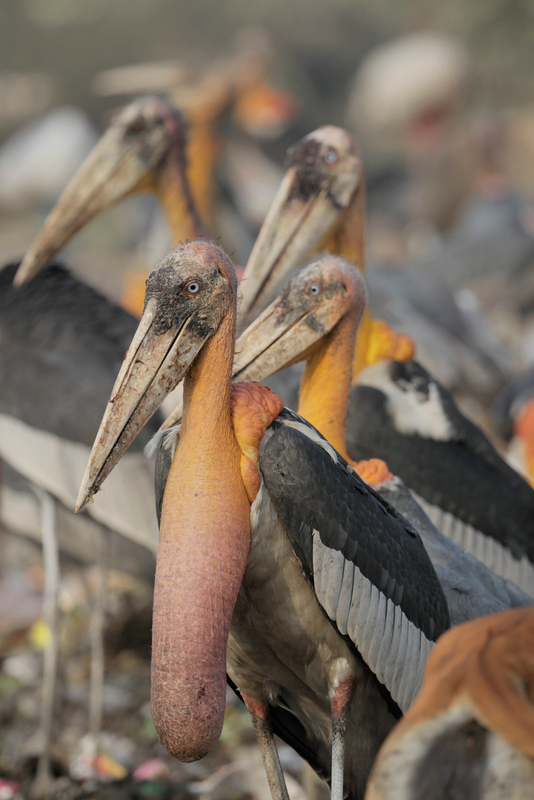 Over half of the world’s population of this stork thrives here living on our garbage. Filming them was not easy – they may look like they are totally cool with people, but to film them required a lot of undercover operation. ABOVE: My hide made up ofa little bit of Camo and a whole lot of rags. Made several hides across the landfill so the birds could get used to these structures. Although wary in the beginning the birds did get used to them and came in for a closer inspection allowing me to get some pretty cool close-ups. 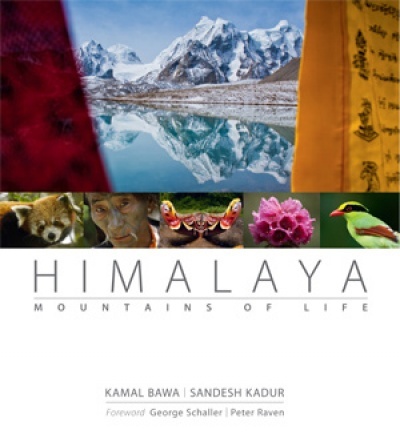 But getting close to these birds was not easy – I even had to dress up as a ragpicker – But in the end we got the images needed to show this creature at home in human created habitat. Caption: Critically endangered Greater Adjutant Storks Leptoptilos dubius patiently await their turn at a landfill near the city of Guwahati, India. 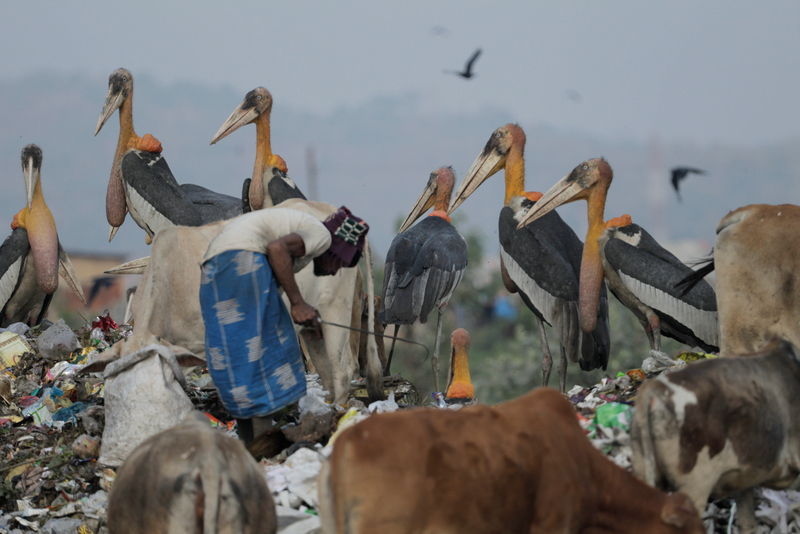 I had always heard how relatively common the Greater Adjutant Stork – a critically endangered bird was at the garbage dump near Guwahati and I wondered how a bird so commensal with man and dependent on human garbage could be so endangered. Upon visiting the landfill I saw how patiently they awaited their turn at the garbage table – every time a fresh truckload of garbage entered the landfill people rushed to it first, and once they were done with their pickings the storks moved in filling their gullets with rotten meat. I still wonder how this species living so calmly in an urban environment could be so endangered. No – they are not Ugly – they are just too cool. Read more about Adjutant storks here. 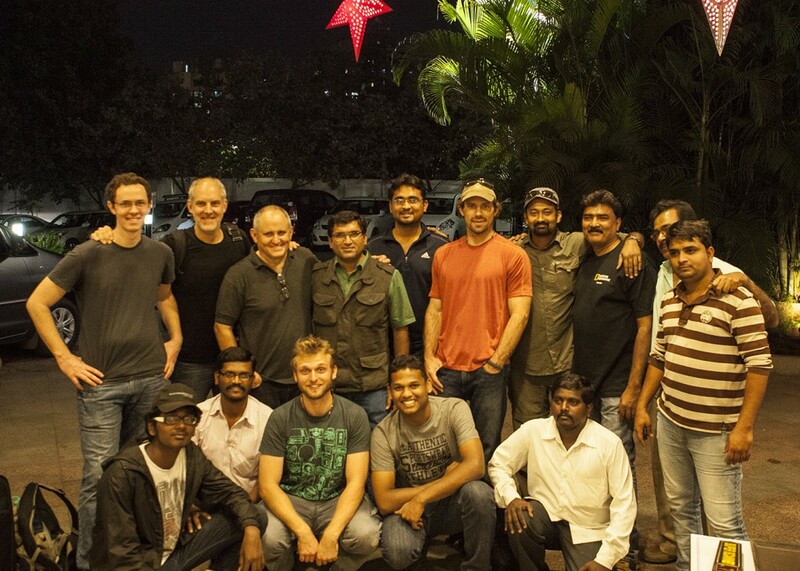 But before we got to the Storks we were in the middle of Mumbai trying our luck at filming Leopards in the city. Over the last decade Mumbai has had its share of leopard drama. A small 104 Sq. 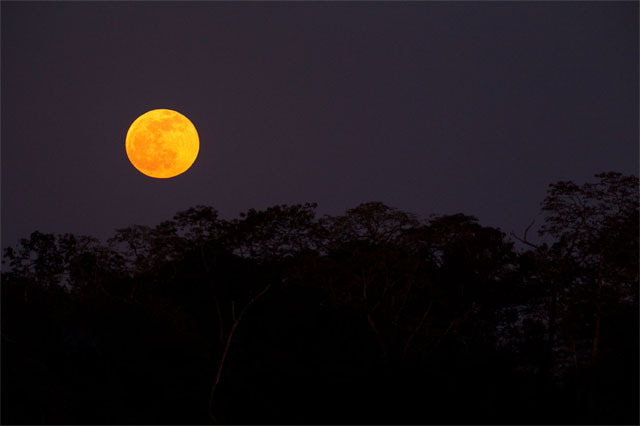 kilometer national park known as Sanjay Gandhi or Borivili National Park lies at the centre of all this. Its a haven for biodiversity and an important water catchment area for metropolitan Mumbai. This is also home to the famous leopards of Mumbai. BIG CATS IN A BIG CITY… that’s what we were after. Full moon night we staged many stake-outs looking into the park from nearby apartments. We had seen a fair amount of CCTV footage that showed leopards straying out of the park to feed on street dogs – part of their diet. 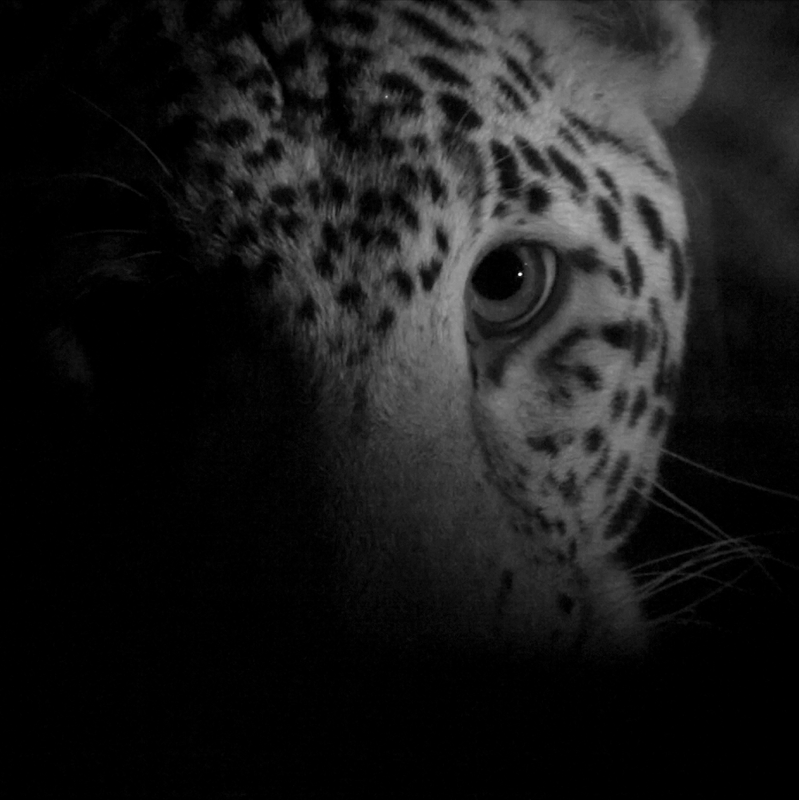 On the third night of stake out we were rewarded with an incredible, but fleeting glimpse of a leopard walking across the bridge. Like any show, numerous people have worked on making this series possible. My close friend Skip Hobbie worked on the sequence on bats in Austin, Texas. Thanks to Boone Smith, Geoff Luck, Matt Hill, Kris Denton, Karen Bass, Elizabeth Garrett, Audra Arnaudon and all the team at Nat Geo Wild, & TEAM FELIS, Adarsh NC, Robin Darius Conz, & Kartick Satyanarayan & his super team @ WILDLIFE SOS (www.wildlifesos.org) , TP Singh for FLIR, Krishna Tiwari, Pawan Sharma, Sumit Khutale, Chinmay Joshi, Adwait V Jadhav, Kunal Chaudhari, Anjan Prakash, Keshav Prakash, Keshav Prakash, Prashant Singh, Preeta Sukhtankar, Dinesh Anna from DR Travels, Deepak Venkateshan, Vivek Alfred Williams, Naveen HR, Reshma Bangera, Nikhil Bopanna,Shri.Thorat S A, Shri. 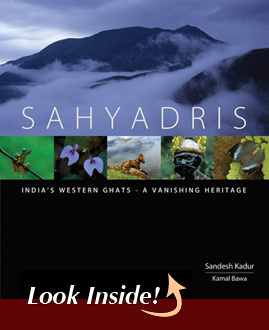 Vikas Gupta from Sanjay Gandhi National Park – SGNP, Vidya Athreya, Anish Andheria, Shardul Bajikar for all the excellent work at SGNP, Nasir from Light N Light, Louis Camera, Sheffy George from Mumbai, Fortune Lake City Thane, Residents at Thane and Mulund esp the Lok Nisarg and Mount, Gopala Krishna, Girish Rao, Cariappa for all the help, Eshwar Prasad Teki,Shri. Shivpal Yadav from Ministry of Environment and Forests, MEA, To Priya Singh, & Viral & Dipti Mistry for allowing the use of their place Yusuf Kathwala & Sumanth Kuduvalli with Nikon – and to Purnima Burman & WTI in Guwahati for help with the Adjutant storks and to the countless others around the world who helped bring this series on air. Looking forward to watching the programme. This looks like a fascinating series!